They have started the refurbishment of the tennis courts and basketball courts at Stratton Park in Bethesda. This is independent of the ADA upgrades I have written about before, but not a coincidence that they are trying to do both around the same time. 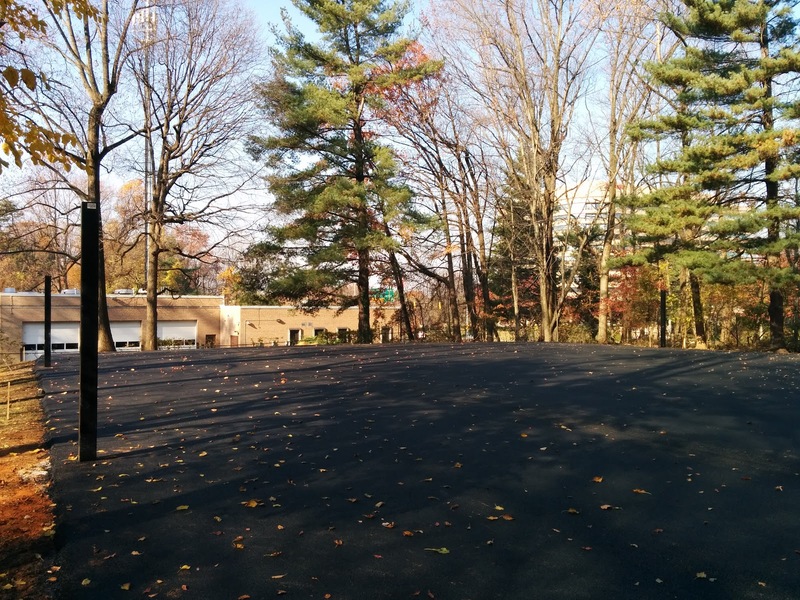 The basketball courts already have a fresh covering of blacktop. 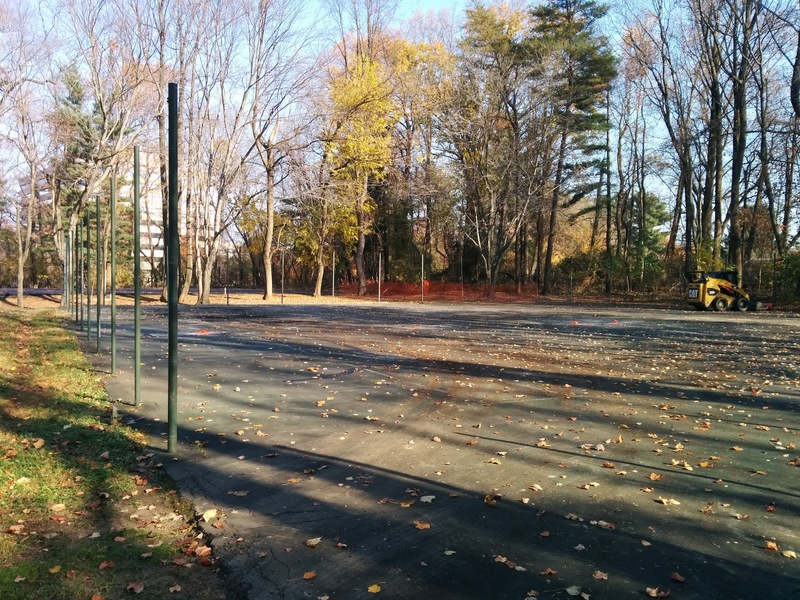 The posts for the hoops are there, but are not complete. 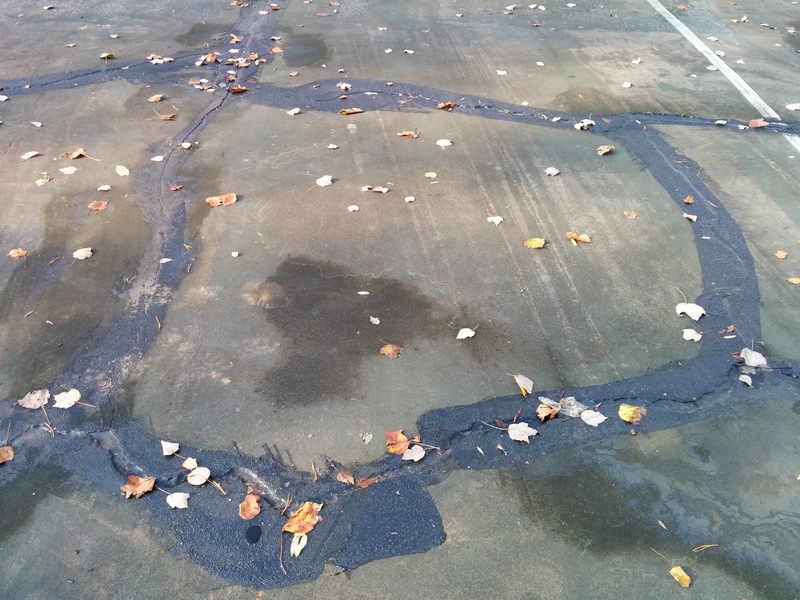 All the cracks in the tennis courts have been filled in with tar. I guess that means that they aren't going to remove the existing blacktop, but only put a new layer over it. The fence is down, but the poles remain. The supports for the nets have been cut down as well. 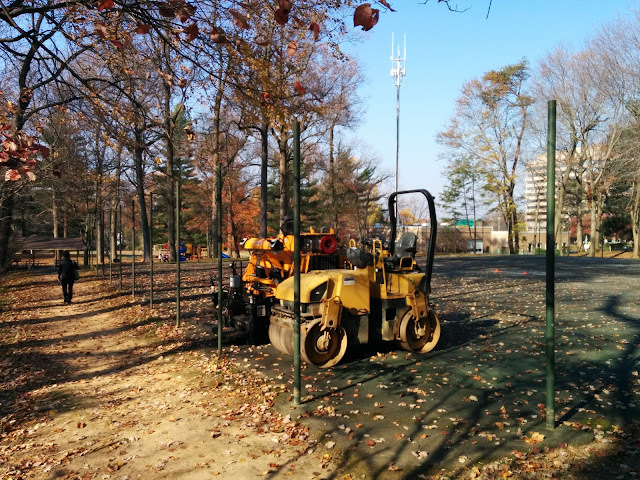 The equipment is on the courts, waiting to be used. 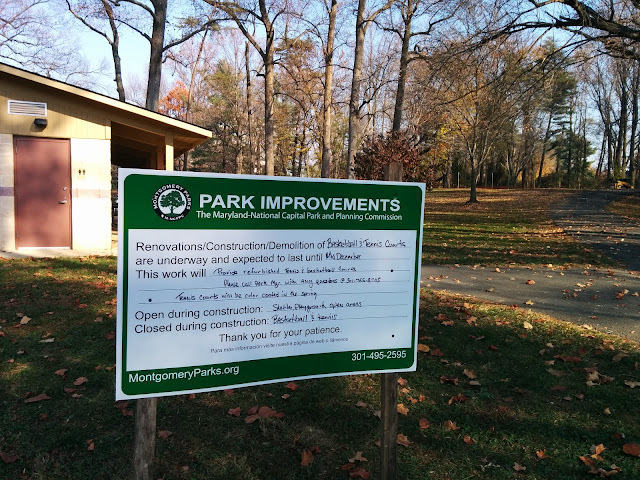 On Tuesday, November 15th, the Montgomery County Council will vote on adopting the subdivision staging policy (SSP). They have removed the School Facilities Payment section of the SSP, this will hurt the county's ability to fund expansion of our overcrowded school system. The school facility payment has long been a part of the subdivision staging policy. It is triggered if a school cluster is between 105% and 120% of capacity and required an additional payment be made by developers that goes towards increasing school capacity. Last year (2015) these payments totalled almost 2 million dollars, and in 2014 they were over 2 million dollars. Earlier this year the county council increases taxes paid by it's citizens in order to increase funding public schools, now, they are reducing taxes on developers by millions of dollars. Taxes that were dedicated to schools. It is because of things like this that term limits were overwhelmingly approved last week. Keep this in mind next election when the non-term-limited council members run for re-election, and if any of the current council members run for county executive. There is a petition asking that they postpone the vote scheduled for November 15th and address the the MCPS crisis more fully. It covers this issue as well as other school related issues. payment starts on page 17, then there is some more on the bottom of page 18 and top of page 19.